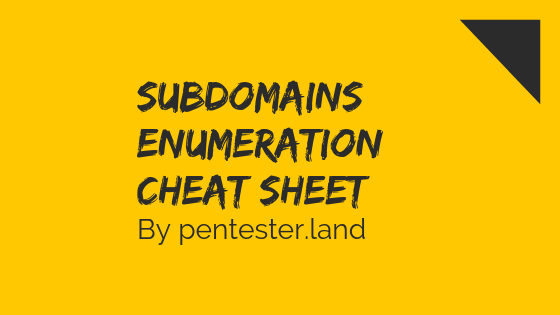 Hi, this is a cheat sheet for subdomains enumeration. I will update it every time I find a new interesting tool or technique. So keep an eye on this page! Why so many tools & techniques? The more techniques used, the more chances to find interesting subdomains that others might have missed. Some bug hunters recommend using only a handful of tools (like Amass, Massdns, Subfinder & Gobuster). But people who have a bad Internet connection & no VPS won’t be able to use these highly effective & fast tools. So choose whatever works for you!